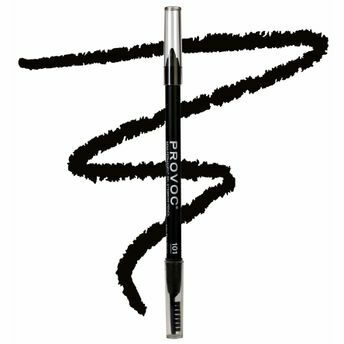 Making sure your brow looks as natural and effortless as possible is the key and this is what the Provoc gel eye brow pencil does. There are 2 shades delicately made to perfectly match your hair colour. The thick gel consistency lets you draw accurate tiny hair strokes either to fill with colour or to create an arch, the brush on the other end of the pencil blends and shapes everything to place. Additional Information: Provoc is a Middle Eastern cosmetic brand known globally for their bold, innovative and modern makeup products. They have a wide range of versatile makeup products such as eye lashes, lip liners, brow pencils, eye pencils that are long lasting and in trend always. All Provoc makeup products are Cruelty-free and Vegan. Explore the entire range of Eye Brow Enhancers available on Nykaa. Shop more Provoc products here.You can browse through the complete world of Provoc Eye Brow Enhancers .Alternatively, you can also find many more products from the Provoc Gel Eye Brow Liner range.